SNAFU! : Navy to build Advanced Super Hornet equivalents? Navy to build Advanced Super Hornet equivalents? 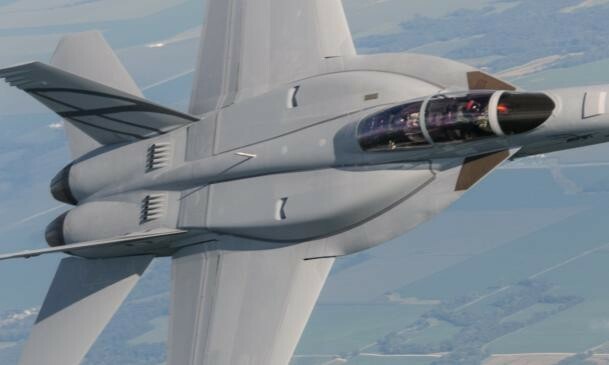 Boeing believes an upcoming service life extension of its Super Hornet fleet, set to begin next year, would be an optimum time for the Navy to build in new upgrades, add conformal fuel tanks and to make it more stealthy. The Navy and Boeing are currently negotiating the first service life modification (SLM) contract — expected to be awarded early 2018 — which will lay out the structural modifications the company will conduct to extend the life of the F/A-18E/F Super Hornet from 6,000 to 9,000 flight hours. But for an additional cost, the company could also upgrade the Super Hornets to the more advanced Block III configuration during the modification period, said Mark Sears, Boeing’s director of SLM. “What SLM allows is, while we have the aircraft open to do the life extension mod, we can go ahead and apply the provisionings for the conformal fuel tanks, the advanced cockpit station and also the advanced networking [system],” he said. The company could also apply low observable coating to the aircraft to help reduce the aircraft’s signature. Sears couldn’t provide a specific price tag for inserting the Block 3 mods into SLM, but acknowledged that there would be an additional cost to develop retrofit kits as well as “a few million” dollars more per plane to make the relevant changes. This is brilliant. Life extensions of the currently identified aircraft would make them into what would be Advanced Super Hornets. Even better? By the time they finish with the upgrade to the aircraft they want life extended now, other newer aircraft will get the same treatment so that they're all built to the same standard. The much delayed, hyper expensive F-35 will end up pushing the Navy to not only buy more Super Hornets but to also make them more capable. Boeing will wind up winning in the end. I consider this another piece of data to prove that the buy of F-35s will be much reduced. Meanwhile I'm still waiting on the report comparing the Super Hornet to the F-35 for Navy use AND a report detailing how many Growlers the services need for electronic warfare.